This fascinating, full-color volume brings together Meyer's photographs and his essays from ZoneZero, the international photography Web site he founded, along with other experts' commentary on his work. In one section, Meyer deconstructs some of his vivid, magical realist-style works, taking the reader inside his creative process. 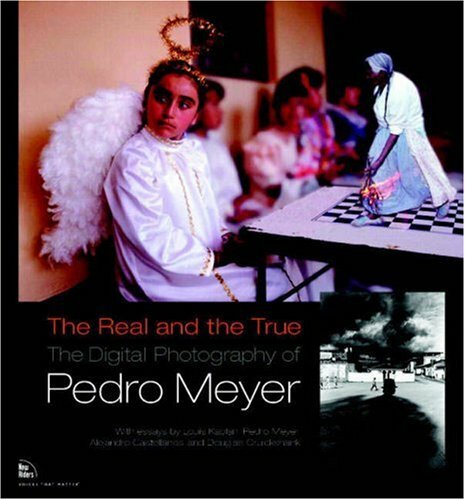 Students and admirers of Meyer's work, those interested in documentary photography or contemporary Mexico, and anyone interested in the timely intellectual questions he raises will be drawn to this engaging and beautiful book. Internationally regarded photographer Pedro Meyer began his career as a journalist and documentary photographer, and in many ways that is still his primary form of expression, although his work often crosses what others perceive as boundaries between truth and fiction. Meyer contends that photographers have always manipulated the truth to elicit certain responses. Sometimes, of course, the intent is to deceive, whether digitally through software programs like Photoshop, or by simply positioning the camera in a certain way to include or exclude parts of the picture, or in the darkroom, adjusting the lighting or cropping people in or out of a shot. At other times, Meyer argues, a transformed image can present a more profound truth than could be captured in a single exposure, just as fiction sometimes conveys more truth than simple reportage. The task for viewers says Meyer, is to question why and how images are made, and in the process uncover the real truth in those images.